SQA Solution is a 6 weeks long Software Quality Assurance (SQA) school in Daily City, CA. You’ll want to come to class eager to learn and prepared to work. At the end of six weeks, you’ll walk out of class as a new person. You are now qualified for your first QA or Tester position, and you’ll have a Certificate and Portfolio to prove it! During this course, you’ll learn Java, WebDriver, Selenium IDE, Frameworks, Linux, SQL, TDD and more! We provide 123 hours of classroom instruction and hands-on project training. 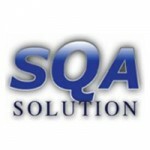 Fuad Mak is a Test Architect and QA Manager at SQA Solution. He has over 16 years of experience in Quality Assurance, and 9 years of experience in QA Management. Fuad is a successful Quality Assurance leader with a diverse background in multiple industries. Fuad Mak has a thorough understanding of QA methodologies, automated testing, and the iterative software development processes. His background includes responsibility for eCommerce sites, Life science and Pharma validation, Client Relationship Management (CRM) strategy and systems, SAP, Mobile, and Retail solutions. His expertise covers a myriad of testing tools and processes in the software testing industry. Here are just a few: Test Director, QA Partner/Silk Test, Silk Performer, MS Test, Visual Test, Win Runner, Bounce Checker, Star Team, Track Record, BugZilla, Web Defect Manager, PVCS, Web Load, PVCS Tracker, Net Mechanic, Compuware, Scrum, Selenium, and many more. Lesya is a Software Professional with 14 years of core expertise in Automation, Manual, Database, and Web-Service Testing. Lesya has experience Planning, Designing, Building, and maintaining complex Test Automation Frameworks (Data-Driven, Keyword, and Hybrid). She is an Expert in Selenium, WebDriver, and SilkTest Automation. She is also proficient with Java, has a deep knowledge of JUnit and TestNG unit testing Frameworks, and has real-world experience with many other testing tools and technologies. Jean is an expert in planning, designing, building, and maintaining complex Test Automation Frameworks (Data-Driven, Keyword, and Hybrid). His expertise covers Selenium, WebDriver, and SilkTest Automation. He is also proficient in Java, has a deep knowledge of JUnit and TestNG Unit Testing Frameworks, and real-world experience with many other testing tools and technologies. Anyone who is motivated can learn! Yes, you can learn Java and Selenium WebDriver, and Become a Qualified Automation Tester in 6 Weeks! We have structured this course to be streamlined and project oriented. In addition, we provide lots of guidance in a supportive environment. This helps keep you motivated, and helps you learn exactly what you need to know to get a good job, and to excel at it. Hands-on training is the best way to learn. At SQA Solution, we teach you how to think outside the box so that you can quickly discover bugs. We also provide you with problem solving techniques so that your input can assist in providing resolutions. After taking this course, you will enter the workplace eager to discover new challenges, knowing that you’ll have the tools to effectively handle them. Our Objective: You’ll want to come to class eager to learn and prepared to work. At the end of six weeks, you’ll walk out of class as a new person. You are now qualified for your first Test Automation position, and you’ll have a Certificate and Portfolio to prove it! Saturday only, 9am: Breakfast. We’ll discuss technology and testing over breakfast in the classroom. Saturday 9:30am or Weekday at 6pm: Coding with our Instructors. We’ll introduce your next project or exercise. We’ll explain the concepts of how to perform the work, and then we’ll discuss how to work out the stuff you don’t already know. We want you to participate by asking questions—that’s how you’ll learn best. Saturday at 10am or Weekday at 6:30pm: Hack and Test. You’ll be working either in pairs or small teams on real-life projects. If you have questions, just ask an instructor and they’ll be happy to help get you resolve them by offering different approaches for resolution. Saturday only, 12pm: Lunch. There are many great places for lunch within walking distance. Saturday at 1pm or Weekday at 7:30pm: Learn, Code, Test. Again, we’ll introduce you to new concepts by starting a brand new exercise or project together, and then allowing you to continue working on it within your team. Tuesday only, 6:30pm: Special Events. We hold different types of events. You can ask our guest instructors about their job experiences, go to meetups, practice interviewing, or just work on projects. The program ends at 8 p.m. However, you may want to continue working much later. Weeks 1 – 2 include teaching the basics of Test Automation and programming. Weeks 3 – 6 focus on project-oriented learning, both in groups and individually. This covers working on new projects from scratch and working on existing codebases. During this time, you’ll be creating your portfolio. During the course, we’ll be guiding you through practice interviews so that you’ll feel prepared and confident about what you’ve learned and what you can offer a new employer. Note: SQA Solution is not affiliated with WeFinance; the loan you receive from WeFinance becomes your own full responsibility.